'One thing you can do with really, really simple feathers ... is you can use them as whiskers,' says Scott Persons, PhD candidate at University of Alberta, and Philip Currie, professor and Canada Research Chair in Dinosaur Paleobiology. Whisker-like forms functioning as tactile sensors turn up in many different kinds of animals, including mammals, insects, fish, and birds. 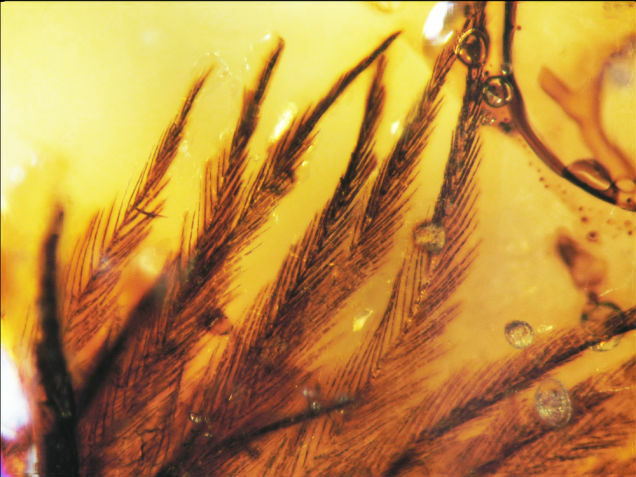 Back in 2011, a paper published in Science showed a variety of feather structures preserved in Late Cretaceous Canadian amber. 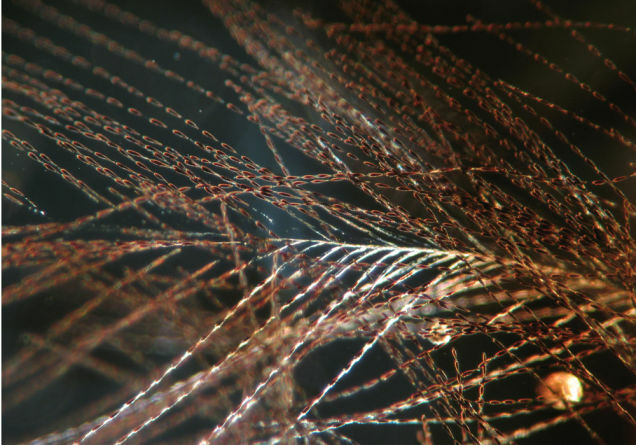 The feathers are of all types, from downy filaments to more complex structures. They match up well with the compression fossils found in northeast China. Since the feathers were dissociated from the animals they covered, it's possible that some of these feathers came from birds living at the time of dinosaurs. Some coiled barbules are similar to the water-absorbing feathers in diving birds, such as grebes. The feathers show light and dark banding and other coloration patterns. In this example the brown masses are concentrated pigmentation that would have given the animal a dark brown appearance. It's important to note that not all dinosaurs had feathers, as skin impressions from hadrosaurs and other types dinosaurs have shown. 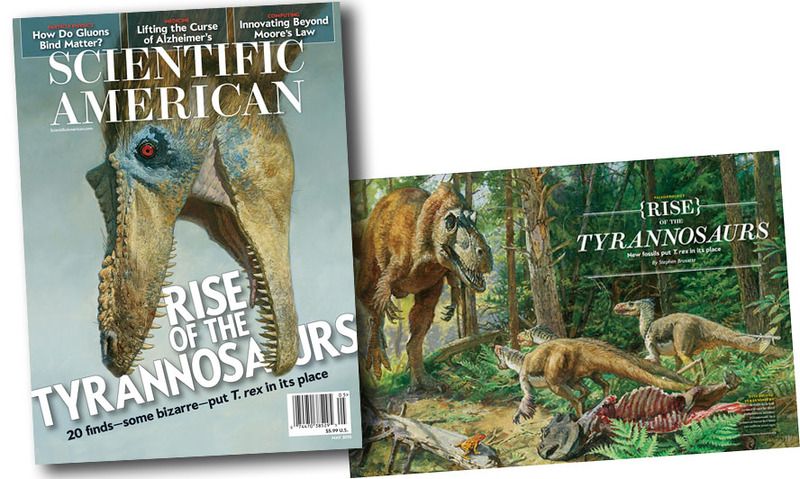 On the cover of the May issue of Scientific American Magazine is my painting of a feathered Qianzhousaurus. 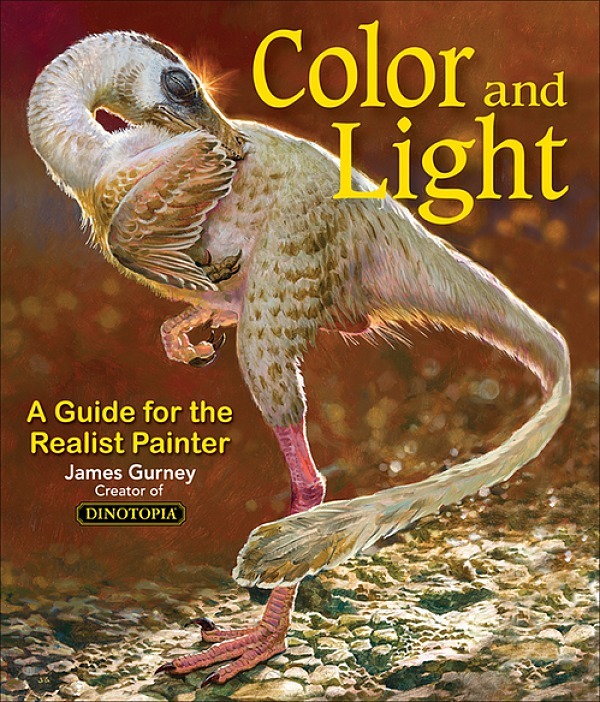 The editor told me it's the first time the magazine has showed a feathered dinosaur on the cover. 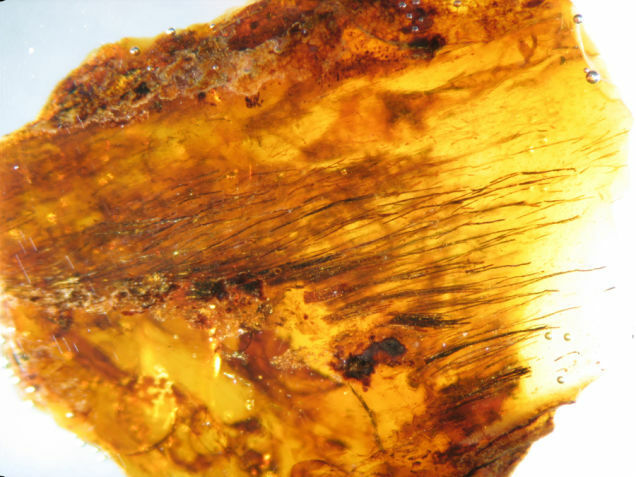 The inside spread shows two early Cretaceous dinosaurs known to have had feathers. May issue of Scientific American, "Rise of the Tyrannosaurs"
I think some cynodonts had tiny holes where the muscles attached to their whiskers were attached. I don't know if birds with whisker-like feathers have anything like it, though.